Our products gives Indian filmmakers access to world renowned audio technology to help tell their stories better and gain recognition for their craft worldwide. Making the message easily understandable through careful choice of microphones, cables, signal processing and monitoring loudspeakers in your programs for broadcast. Helping production companies create and capture great sounding reality shows and award ceremonies. 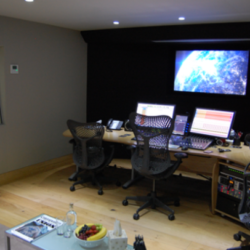 Home, project or commercial – No matter the scale and size of your music studio, we have the right gear to sort out your recording challenges. Sound reinforcement solutions from the simplest home theaters to the largest auditoriums and commercial spaces. Providing performers with technology that showcases their art in the best sound possible. Enabling Indian students, sound engineers and audio-techs polish their skills in industry leading audio technologies through training and certification. Take control of your data and degauss your Hard drives and Magnetic Tapes to secure the data before you dispose them from an organisation. The Y-Series system is absolutely fantastic! "The d&b Audiotechnik Y-Series system is absolutely fantastic and very easy to use. The best part is that it delivers crystal clear sound all across the room. ANSATA's team have been absolutely wonderful, the passion and knowledge that they have for sound is evident in the work done with the new system at our Church." 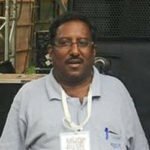 Pro Audio Professional and Technical Adviser for the Pearl City Church, Hyderabad. Avid Venue is the most ‘rider friendly’ console! 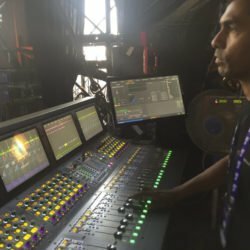 "Avid VENUE S6L is integrated with unique features, amazing sound quality and fast live mixing workflows that cater to the ever-increasing demand for clean & powerful audio in modern touring acts. VENUE family consoles have been ‘rider friendly', and with the introduction of the S6L - its widespread acceptance across the market, we have a great opportunity to train our future industry specialist with the best." 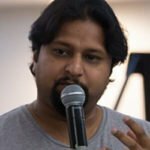 Founder and CTO at Audio Academy, Bangalore. DPA 4099 my go-to microphone for instruments. "The d:vote™ Instrument Microphones has slowly but surely become my go-to microphone for instruments. It makes my job as a sound engineer easier, thanks to the transparency and immaculate sound that it helps capture. They add great clarity and depth to my mixes, by picking up all the subtle details that percussive and stringed instruments produce." 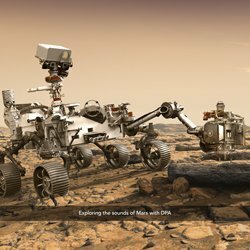 Technical Director/ Freelance Sound Engineer, Bangalore. The V-series system is extraordinary! "The V-series system is extraordinary in terms of its output to size ratio i.e. despite of the compact frame, the power, dispersion and coverage is equivalent to speakers that are twice its size. We’re extremely happy with our decision of choosing the d&b Audiotechnik loudspeaker system!" 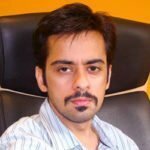 Director of Shiva Systems, Mumbai. DPA d:fine™ are suitable for all our needs. "d:fine™ Headset Microphones are unique, their ​small and elegant construction makes them suitable for all our needs. We had been using hand held mics for Preaching and Singing but with the light weight - d:fine headset mics we enjoy handsfree preaching and singing. It supasses excellence in the quality of audio it replicates"
Preacher at Berachah Prophetic Ministries, Chennai. The AVID S6L’s gain sharing feature is outstanding! "The AVID S6L’s gain sharing feature is outstanding and the finest available. It’s completely transparent and it's as simple as plug and play, no worry about initial gain setup and the two engineers can work with ease without stepping on the other’s toes." 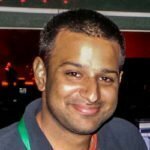 Independent Recording & Mix Engineer and Owner- OdBle, Mumbai. An unbeatable combination-perfect product and perfect support & service partner! "We found the perfect loudspeaker product with d&b Audiotechnik V-Series, and the perfect support & service partner with ANSATA. That in itself is an unbeatable combination – All of us at Mowzz Entertainment are extremely pleased with our new purchase!" Director of Mowzz Entertainment, Hyderabad. The S6 and Pro Tools is the perfect combination! "There is predominantly more music in Indian films, with layers of at least 600 to 700 tracks. The integration between Pro Tools and the S6 is the perfect combination to keep it all under control. The S6 is like an extension of multiple Pro Tools workstations." 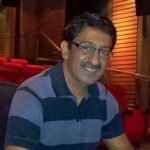 Chief recording engineer at Yash Raj Films group, Mumbai. ANSATA has always been known for it’s prompt support and service! 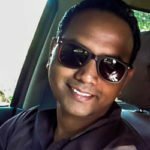 Director of Sound & Light Professionals, Mumbai. d&b Audiotechnik offers cutting-edge line array technologies ! Owner of Casant Entertainers, Goa. S6L VENUE Console is mind blowing! "The VENUE S6L comes with mind blowing gain tracking features and massive amounts of DSP for plugin processing making it an absolutely great technology product. 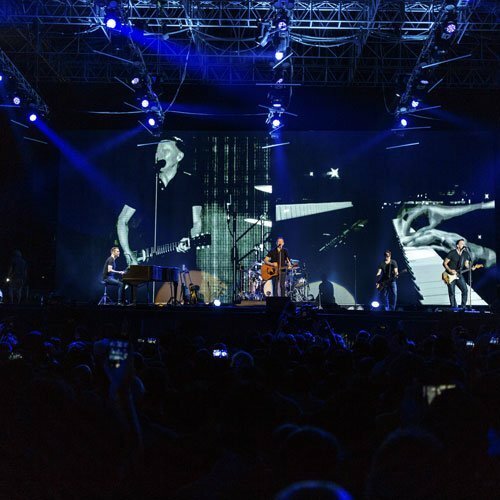 The large number of inputs on the console is an amazing bonus and the VENUE software that we’re all familiar with, makes it an absolute breeze to navigate around." 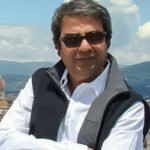 Chief System/Mix Engineer at Sound & Light Professionals, Mumbai. Rigging the system is an experience! "d&b Audiotechnik has ensured that rigging the system is an experience that’s not just super easy, thanks to the easy rigging workflow that allows us to hoist the system right out of the box; but also absolutely flawless since the software prompts you the moment you’re going wrong with the rigging process." Engineer and Partner at Mowzz Entertainment, Hyderabad. The S6L is one of the most diverse and finest mixing console. "The S6L is one of the most diverse and finest mixing console. Its growth in terms of technology and its ease of use makes it to the top of my list of console I favour using." The ArrayCalc program gives you the best suited solution for the venue! "Working with the Y series is always such a pleasure, be it the logistics or the rigging or even tweaking the system on the fly and with the amazing ease and flexibility that the ArrayCalc program brings into the picture, and you know for a fact that you’ll have the best solution suited for your gig." 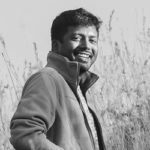 Chief Technical Director at Picture Productions, Chennai. "We chose d&b Audiotechnik because we knew that none of the other brands could even come close to the kind of dexterity and sonic purity that these products deliver. Plus, almost every d&b product has always been far superior and way ahead of its time. We started off with the Q-Series rig, and progressed on to adding a V-Series rig a little while later, and now we are glad owners of a J-Series rig too." 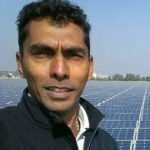 Engineer and Owner of LED Solutions, Delhi. I really like the AVID S6L surface layout. "I really like the AVID S6L surface layout especially the tiles feature in the centre screen and the ability to be either in full input or full output or full VCA mode. The detachment of the console from the display make mixing more hands on and I don’t have relying on the mouse for it." Sound Engineer at Purple Haze Studio Pvt. Ltd, Mumbai. 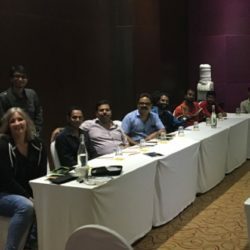 Following the successful workshop that DPA Microphones and its Indian distributor, Ansata, recently delivered in Mumbai, the two companies collaborated once again, to host a seminar in Trivandrum. 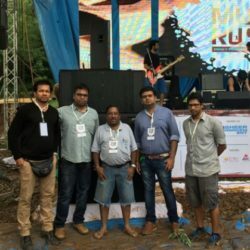 Mumbai-based event management company, Shiva Systems, has expanded its audio system rental inventory with the purchase of d&b audiotechnik’s V-Series speakers. 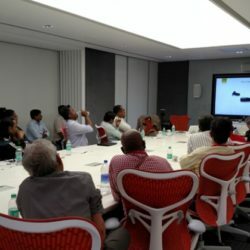 DPA Microphones and its Indian distributor, Ansata, recently hosted a workshop in Mubai, providing invited attendees from the local broadcast and production sectors covering the manufacturer’s products and accessories.